Today I participated in the Great March of Return with tens of thousands of Gazans. We marched on the fence of the Gaza concentration camp marking Land Day and the one-year anniversary of the March. We had the mother of all marches, sending a loud message to apartheid Israel, that we have not forgotten any of our rights. In the process we lost three young men and 316 protesters were injured, according to Gaza’s ministry of health. The reason as to why Israel is very concerned about the Great March of Return — which began on March 30, 2018 and has not yet ended – is that it has shuffled the cards and brought crucial questions to the fore regarding the essence of the Palestinian cause as well as the status of the Gaza Strip. Despite the bleak reality of life in Gaza — which Israel’s siege will, with international and local collusion, soon render uninhabitable — a new consciousness is emerging. We have decided to peacefully mobilize to enforce international resolutions, beginning with UN Resolution 194 regarding the return of Palestinian refugees to their homes and lands. We have also reached the conclusion that the only dependable power is that of the people, especially after the failure of the Palestinian leadership to unite despite the existential threat posed by the Trump administration’s so-called “deal of the century” which aims to liquidate the Palestinian cause once and for all. The struggle against apartheid in South Africa and the American civil rights movement have inspired us. We also draw on a history of popular resistance in Palestine, including the 1936 strike and later uprisings in the West Bank, Gaza Strip, and Israel. That is why we view the Great March of Return as an act of collective mass action against Israel’s settler-colonialism and apartheid. 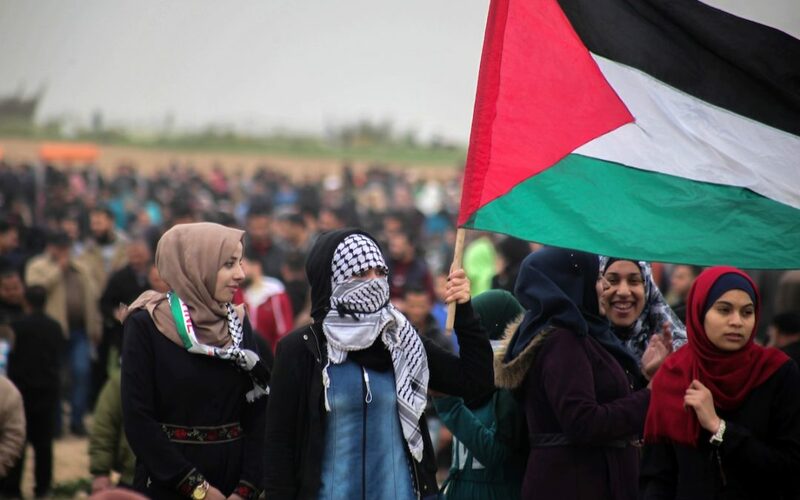 Our activism in Gaza connects all forms of popular resistance. In particular, it upholds the call to boycott, divest from, and impose sanctions on Israel (BDS), inspired by the South African liberation movement. Indeed, the March of Return has created an unprecedented Palestinian consensus and is in line with the goals of the BDS movement. Most participants in the Great March of Return demand a complete break with the Oslo process and its vision of a Bantustan alongside a Jewish state that practices racism against its own people. This is why we tend to believe that the Great March of Return has the potential to revive the concepts of national liberation and self-determination by addressing the new facts on the ground that Israel created. These realities have rendered it impossible to establish an independent, sovereign Palestinian state on 22% of the land of historic Palestine. Therefore, the time has come for a decisive struggle for freedom, equality, and justice. After all, two-thirds of Gaza residents are refugees whose rights to both return and reparations are guaranteed by international law. This is precisely why the Great March of Return’s goals fly in the face of the two-state solution since it is essentially in contradiction with the main demand of marchers, that is, the return and reparation of refugees. 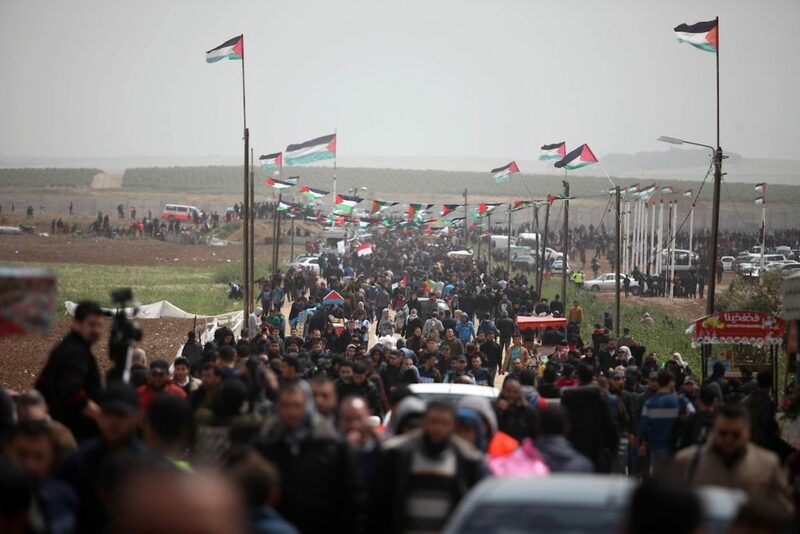 We are hoping that the March will soon spread from the besieged Gaza Strip to the rest of the occupied Palestinian territories and Israel itself where 1.4 million Palestinians are treated as second class citizens. This popular initiative is an attempt to redirect efforts toward achieving legitimate rights and to interconnect the three segments of the Palestinian people – the Palestinian citizens of Israel and Palestinians in the occupied Palestinian territories, and the diaspora. It also proves that Gaza constitutes an integral part of Palestinian national identity. 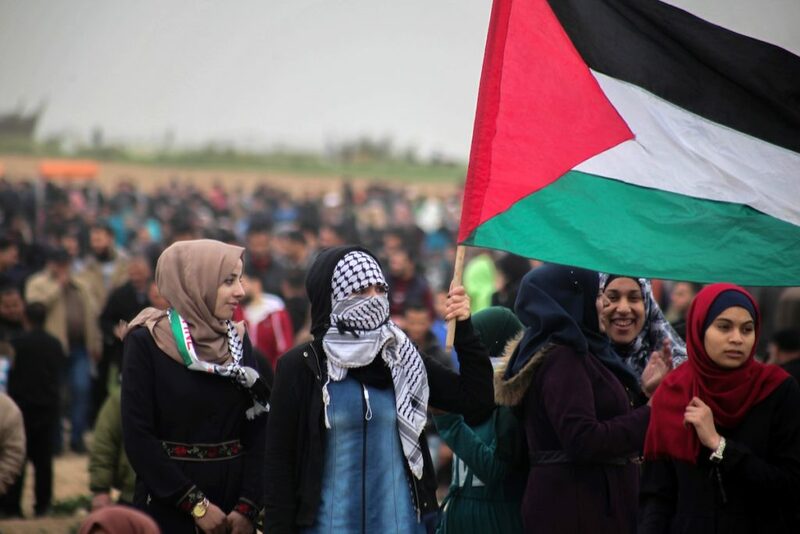 Palestinians of have played a vital role in shaping and vigorously defending modern Palestinian nationalism, which is precisely what the march has affirmed. 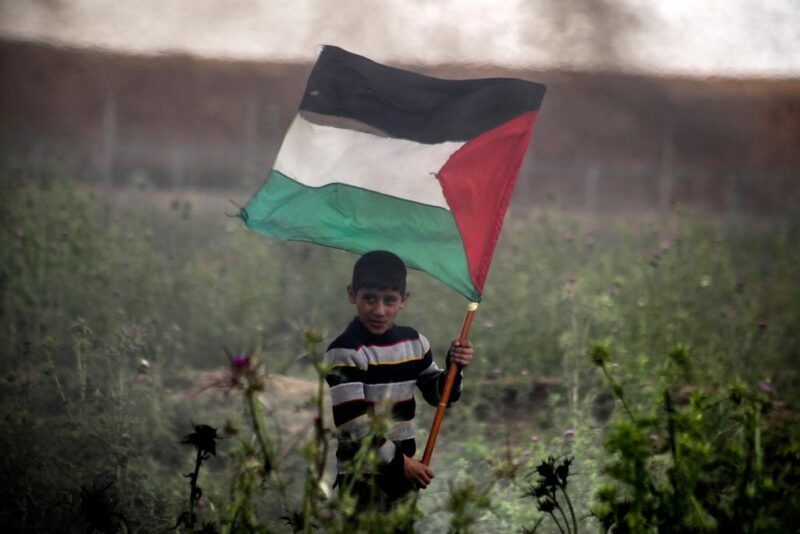 Finally, our struggle is for freedom, return, and equality for all segments of the Palestinian people, which, we believe is the concrete embodiment of our right to self-determination. This is defined by the new collective consciousness to which the March of Return and the BDS movement have largely contributed.